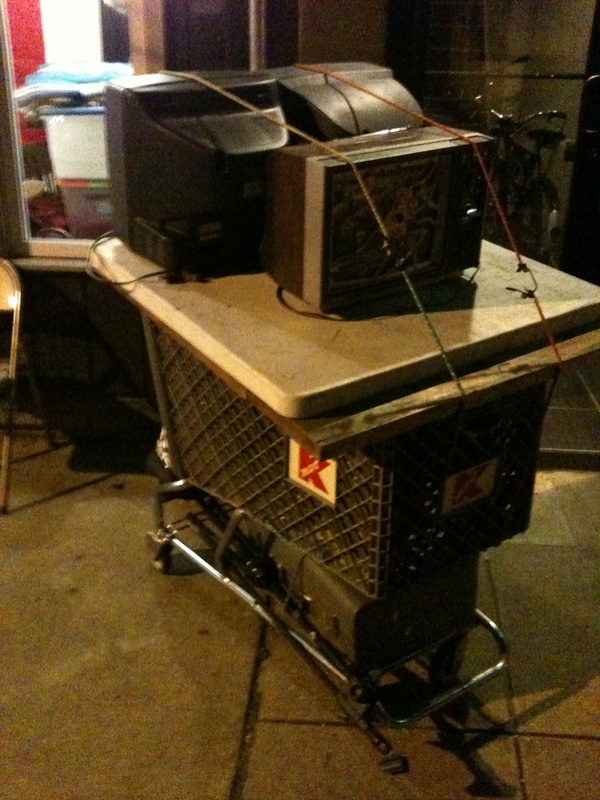 Description of the installation: For First Friday in Philadelphia, I loaded all my TVs up and into a shopping cart I found at the end of my street. 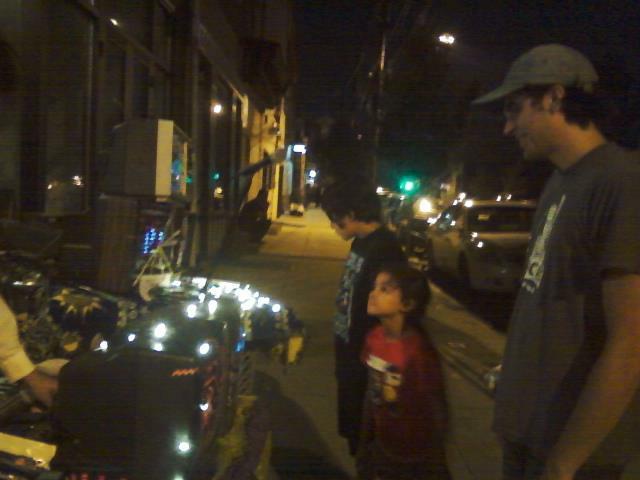 I took them on the scrapper highway of North Philadelphia, pushing them through alleyway and past oncoming traffic. 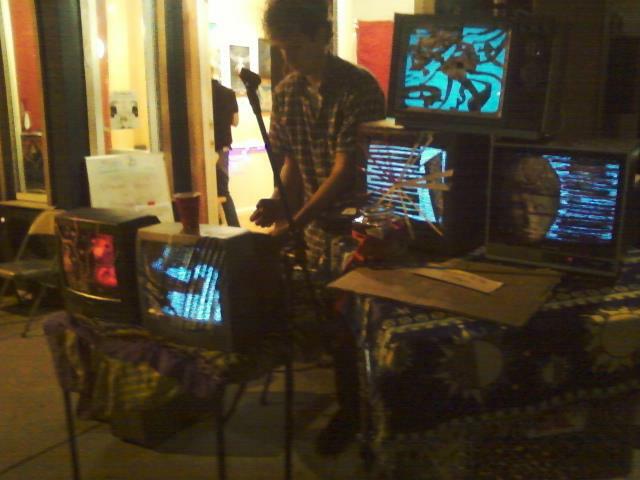 On Frankford Avenue I set up an installation playing old meditation tapes on the TVs and writing poetry for all the spectators as they passed by. 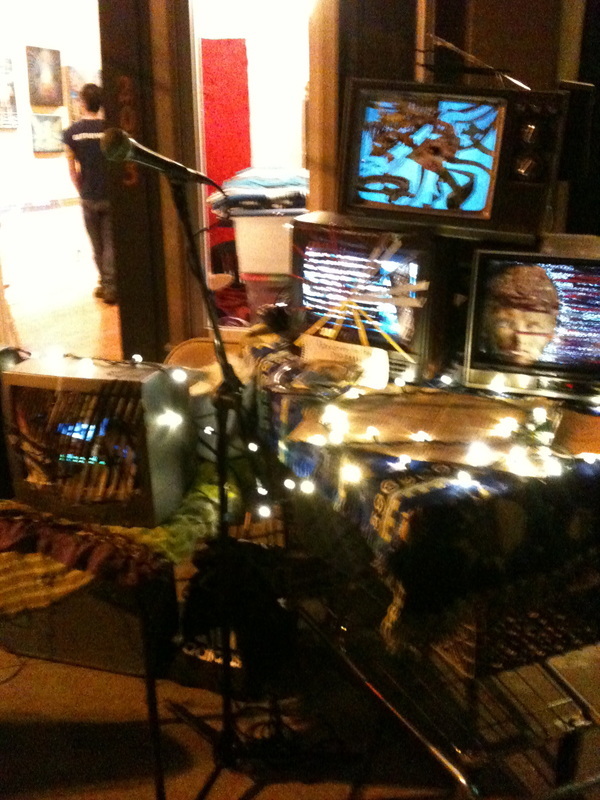 There was musical performance as well. And tons of good vibes!